Posts tagged "swim with pigs"
Crewed catamaran charters are a wonderful vacation for active and adventurous travelers. Most catamarans feature a large assortment of water toys. For instance, sea kayaks, towable tubes, snorkel gear, and towable bananas. Also included in watersports activities are hamster balls (clear ball for walking on water), trampolines (that sit on the water), SeaDoos, paddleboards, and skurfers. There are many fun activities and toys to enjoy on a catamaran vacation. The previous items are just a few. Many catamarans also offer SCUBA for certified divers. If guests aren’t certified but want to try it, they are able! They can take a resort course from the yacht, as well! 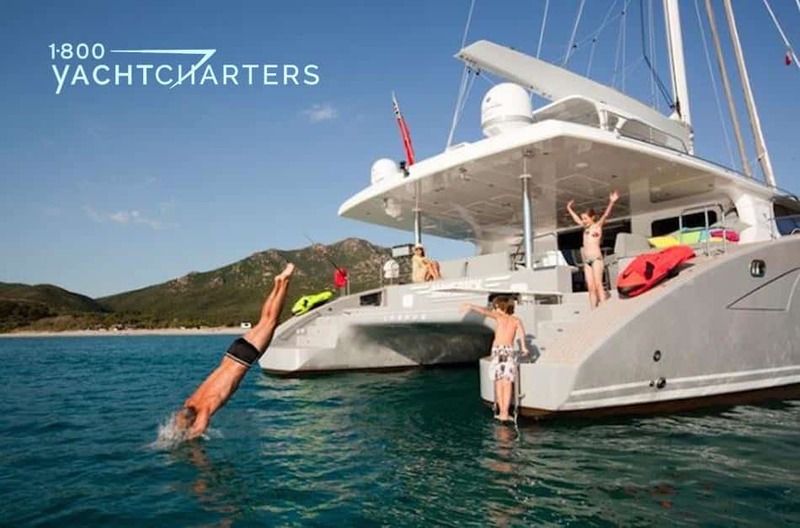 Bahamas yacht charter catamarans receive special treatment. They are often visited by swimming pigs that live on Big Major Cay, better known as “Pig Beach.” The pigs swim out to the boats. You can also swim with them, give them approved treats, and take lots of selfies! Are you ready to book your active sailing charter? How about swimming with the Bahamian pigs? From your crewed catamaran? If so, then contact 1-800 Yacht Charters at https://www.1800yachtcharters.com/book-now-contact-us/ today!